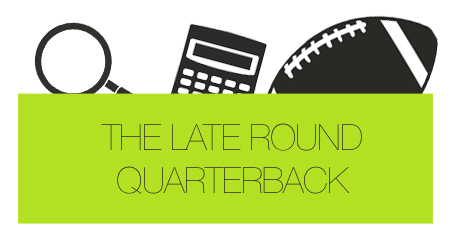 Removing Luck From Fantasy Football: Is It Even Possible? Archived Content Removing Luck From Fantasy Football: Is It Even Possible? I was looking for my fourth league title in eight years. You could argue that my squad in this 14-team league – the one I commish and pay the most attention to – was the best one I had personally compiled in league history. To put it into perspective, the league has standard scoring, and we’ve got the typical lineup. There’s one quarterback, two running backs, two receivers, one defense, one kicker and a flex spot in each starting lineup. Since the league is larger than most, we limit the bench to just four players, opening the free agency pool to more opportunity. Last season, my team – through trading and solid waiver wire grabs – was simply (and humbly) stacked. I had Matthew Stafford (late-round quarterback), Adrian Peterson (with Gerhart), Maurice Jones-Drew, Ahmad Bradshaw, Wes Welker and wide receiver X. I didn’t even care who played at that WR2 position. My team won with those other guys. I had a first round bye because I won my division, and six teams made the playoffs. My opening playoff matchup was against my irritating rival who had won two league championships in the past and was looking to tie me for the league lead. As you can tell, his team was decent, but I knew I had the edge. I mean, come on – my lineup could’ve competed in a 10-team league! The playoff game began, and there were some occurrences that I wasn’t very fond of. For instance, AP, in his 1:00PM game, rushed for just 60 yards against the Saints defense. And Maurice Jones-Drew, after killing it for three straight weeks, gave me a moderate 11.3-point performance. But I was still in it. Things were still looking up. ESPN’s God-awful scoring projections had me winning by the time the late afternoon games were ending, so my naïve confidence was at an all-time high. Now, as I noted, Matthew Stafford was my starting quarterback. If you recall the 2011 Week 14 Lions’ game against Oakland, you’d remember that Stafford led one of his typical 4th quarter comebacks, throwing two touchdowns in the final five minutes of the game. The first of those two touchdowns went to Titus Young. I was mistaken. My opponent had started the rookie wideout; a receiver who scored just three touchdowns all season, and had just one game with more than five receptions. He, a wide receiver owned in just a portion of fantasy leagues, was in a fantasy playoff lineup. The playoff match went in my opponent’s favor by just over a point. I like to blame Titus Young for that. It was a frustrating occasion, but I brushed it off with the feeling that the Fantasy Gods simply didn’t want me to win. Luck clearly played a factor in the game, but that’s all inherent to the game of fantasy football. I mean, was Titus Young the reason I lost? No, he wasn’t (but it sure is easy to blame him). If Adrian Peterson rushed for just twenty more yards, I would’ve hoisted the championship trophy for a fourth time in eight years. I get that. In 2012, just a year later, I’ve lost two games in the same league by a combined .4 points. In each of those games, I was a top-5 scorer that week, and players like Brian Hartline were to blame for my losses. In another league, I played against Matt Schaub and Andre Johnson when they faced Jacksonville just two weeks ago. I put up 130 standard scoring points that week but still lost. What gives? Is there any way that I, someone who studies fantasy football on a daily basis, can just, you know, win something again? I completely understand and grasp the fact that luck plays some role in fantasy football. At the end of the day, players on the field aren’t being controlled by you, me or Todd, the 18-time fantasy football champion. This isn’t Madden. We’re playing a game that naturally involves chance, and I get that. But is there any way to at least mitigate this weekly reliance on luck? Is there any chance that we can just reward, even if it’s a slight prize, the fantasy owners who do their research and fully comprehend the game of football? It appears changing the way leagues are set up would be the only sure way to guarantee a downplay on luck. Typically, we see head-to-head matchups, where the victors of those matchups are fortunate enough to get a point in the win column. Given the fact that you could score the second lowest points in a given week and still win, it makes it obvious that this way of playing fantasy football doesn’t necessarily alleviate the game’s reliance on chance. C.D. Carter (@CDCarter13), an avid fake footballer, said on Twitter, “Head to head, as I’m sure you know, is the most luck reliant format. It’s also the most fun, I think.” And he’s right. The issue with luck and fantasy football isn’t just figuring out where to eliminate it. It’s how to balance the removal without sacrificing enjoyment. Many fantasy football players seem to enjoy single-division leagues. Jeff Brubach (@OrangeBru) mentioned that his 14-team league went to a one-division format in order for all teams to play each other at least once, rather than having a schedule that is division opponent-heavy. Still, even with this type, you run into the head-to-head issue that C.D. pointed out. Brian Fontaine (@Bryan_Fontaine) of ProFootballFocus.com told me that the sixth and final playoff spot in his league goes to the highest point scorer. This seems reasonable considering it mixes both the teams who survived head-to-head clashes as well as the one guy who was completely left in the dust due to bad matchup luck. The counter-argument to this approach, however, is that your point leader still doesn’t necessarily have to show weekly consistency. In other words, couldn’t said leader have two or three monster weeks, skewing his point total data? Or, as an example, couldn’t he have Doug Martin in Week 9? Many fantasy analysts, including myself, make [mathematical] excuses as to why data on averages aren’t always the best indicator of success. For instance, Cam Newton is averaging a higher weekly total than Andrew Luck this season in most league formats, but Cam has easily been the worse quarterback of the two. The reason he has a higher cumulative total is because he posted a near 40-point performance against Philadelphia, and he dominated Atlanta on the ground in Week 4. So it leads us all to wonder: Is there a way to combine the classic head-to-head approach with the reward of scoring the most points throughout the season? On Twitter, John Drury (@jdrury12) mentioned that his league essentially has two games per week. One game takes on the classic head-to-head format, while the other takes a different approach. The “second game” is a points-based matchup where the top 50% of scorers in a given week are rewarded a win, and the bottom half are given a loss. Essentially, you could win your head-to-head matchup, but if you were a bottom-half scorer, your record for that week would be 1-1. Others are into more of a free-for-all format. In fact, @WhuDey suggested on Twitter that more people should move towards a lineup of one quarterback and multiple – six, in his eyes – flex spots, removing the kicker and defense positions entirely. It would allow for more creative freedom amongst owners, disallowing some fantasy managers to simply force themselves into lineup decisions. After all, how many times have we seen someone start a guy like Devery Henderson because “there was nobody left at wide receiver”, resulting in some random 24-point performance. The one common notion throughout the ordeal was obvious: remove the freaking kicker. I was on a podcast on Wednesday night with George Barrett from TheFantasyFumble.com, and we shared an experience that we both had regarding the idea of eliminating the kicker position. Both of us had a league vote prior to the 2012 season to see whether or not the position should be ousted, and interestingly enough, we each saw similar results. The fantasy owners who wanted to keep kickers in the lineup had never won a league championship, and league champions were the ones who wanted to rid of the annoying lineup slot. Anyone want to guess as to why? At the end of the day, the aspect of luck will never be removed from fantasy football because, as I’ve mentioned, we have no complete control over what happens on the field each Sunday. It doesn’t help that there are people like me who blog about the pretend sport, allowing the average Joe to gather any and all fantasy information 45-minutes prior to a draft. The ones who study just don’t always win. It’s the way life works, I suppose. I mean, how many times in college did you see a kid – probably drunk – make wild guesses on a Scantron test and end up getting a better grade than over half the class? If you’ve read my book, then you know that I’m all about mitigating risk, and drafting a quarterback late can surely support that. But even if you have the best lineup on paper – even if you are consistently scoring the most points week in and week out – you’re not guaranteed a league championship given most league formats. That’s how it works. I guess, too, that it’s the nature of the NFL that leads to this. Over the last decade, we’ve seen late-season playoff pushes turn into Super Bowl runs by plenty of teams. Were the Giants better than the Patriots during the 2007-2008 season? Most definitely not. Did they win? Yes, because of the environment they play in. There’s a reason the phrase “any given Sunday” exists. Any team (even the Jaguars) can compete with any other team. It’s how the game of small sample sizes works. But let’s not use that as an excuse. Let’s not give up on the things that we can control in fantasy football. The kid in your college class may be able to outscore you on a multiple-choice test, but that’s only because your professor is dumb enough to evaluate a student’s performance by giving a 10-question, fill-in-the-bubble midterm. Before I start to blame the Fantasy Football Gods over a Titus Young anomaly, maybe it’s time to reevaluate the real reason these fantasy football occurrences happen. Maybe I shouldn’t be blaming a playoff loss over a 3-yard touchdown, but rather mathematically figure out how to eliminate these random, mind-blowing events. I didn’t lose my semi-final matchup last season because Titus Young scored that touchdown. It wasn’t because the Lions’ receiver was the ultimate difference-maker. I lost because I, the commissioner of my league, had allowed the idea that a rookie wide receiver could be a fantasy playoff impact player. It’s time to make a league change. To what? Well, who knows. After all, it’s fantasy football.